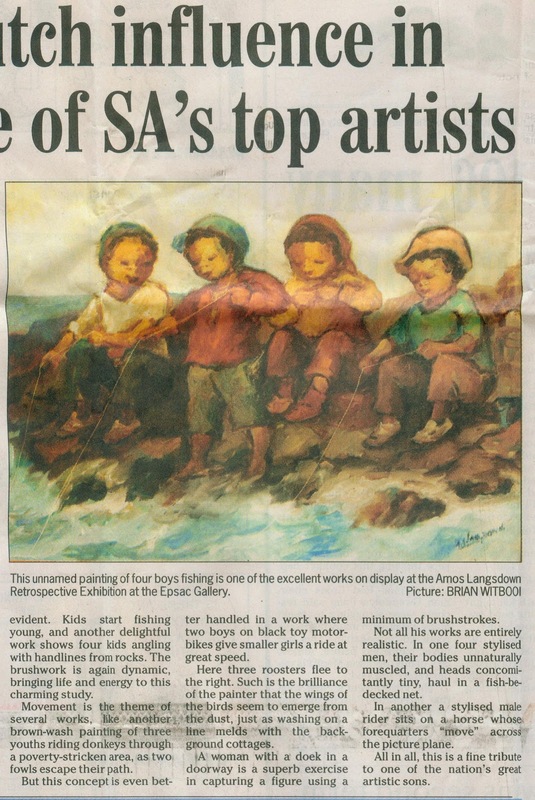 Each year, the NMM Art Museum hosts an exhibition by the Standard Bank Young Artist of the Year. 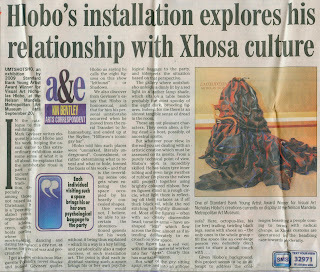 This is my review of Nicholas Hlobo's exhibition, from September 1, 2009. 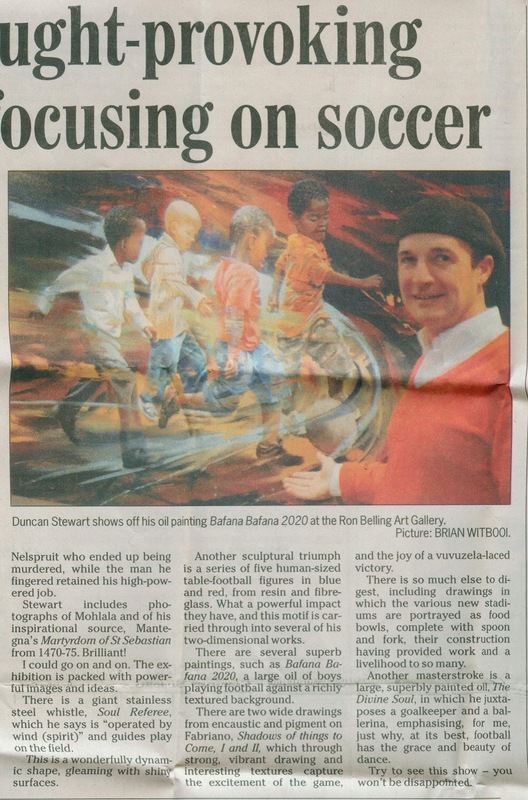 Duncan Stewart made quite an impact with his exhibition ahead of the World Cup. 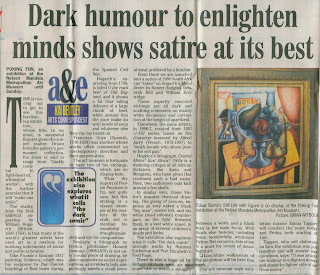 My review, which concludes below, was published on September 7, 2009. 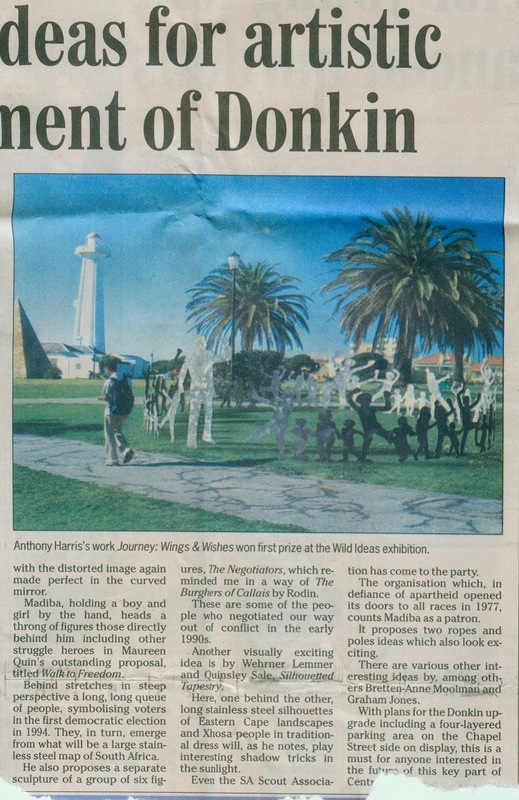 Next up, on September 14, 2009, was this review of a group show, Wild Ideas, with ideas for the installation of art works on the Donkin Reserve. 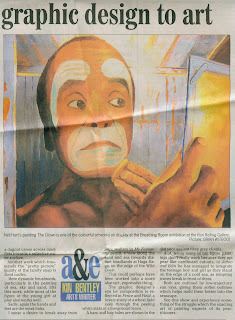 The rest of the review is below. The rest of the review. 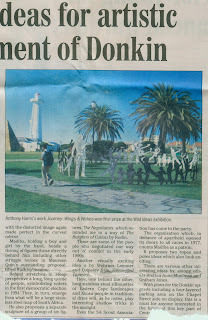 The Donkin has indeed been transformed over the past few years. 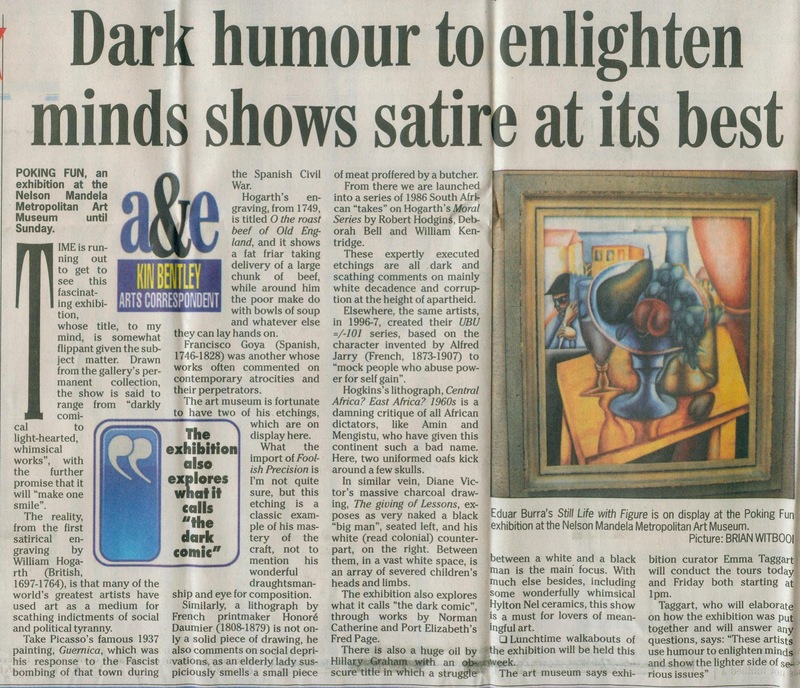 My review of an Amos Langdown retrospective appeared on September 28, 2009. It ends below. The end of the Langdown review. 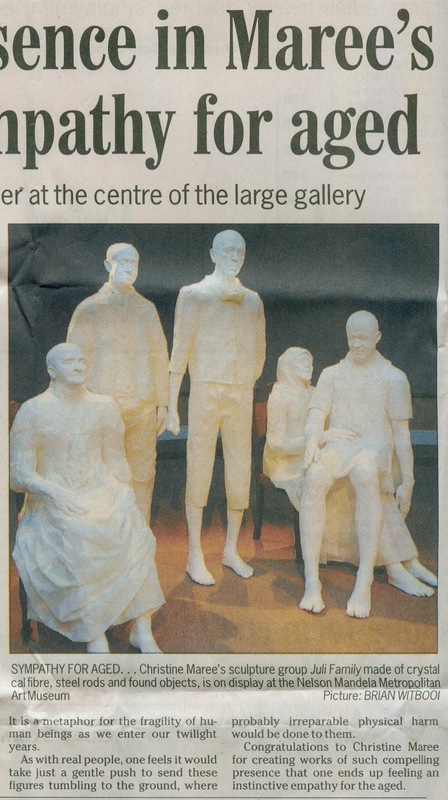 The NMM Art Museum regularly stages shows from its permanent collection. 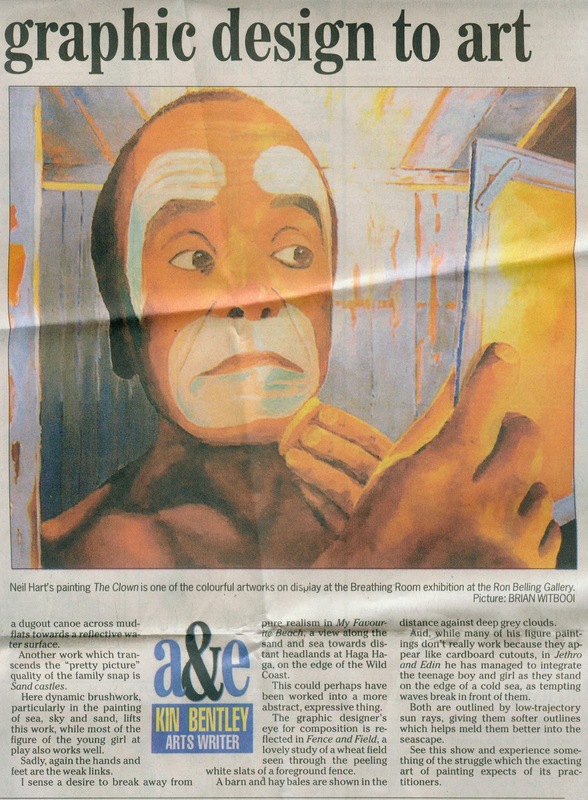 This review is from October 14, 2009. 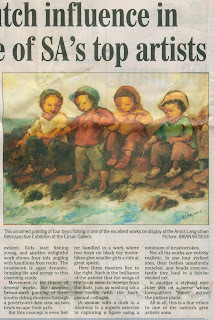 Another show from the NMMAM collection. 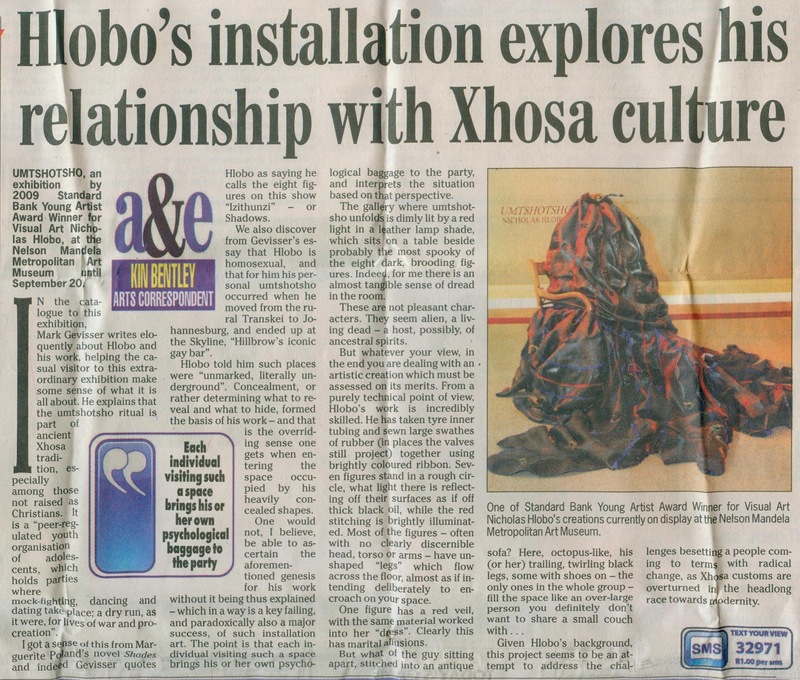 This review appeared on October 15, 2009. 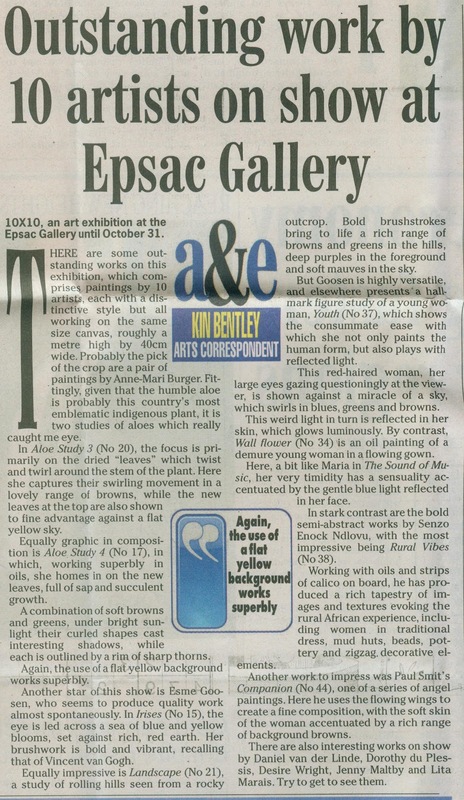 This is a review of a group show at the Epsac gallery from October 22, 2009. 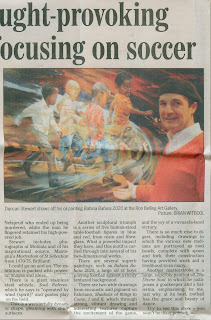 The picture below was run alongside it. 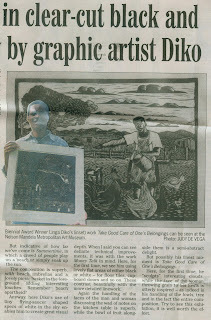 A work by Enock Ndlovu. 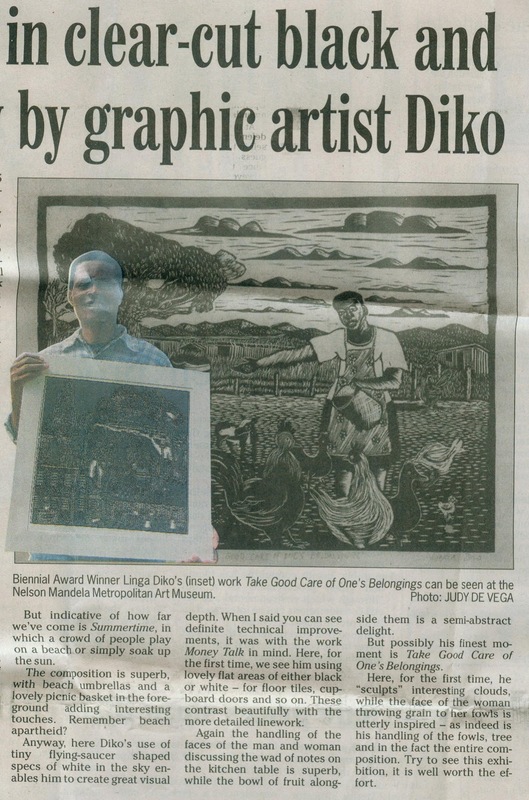 The NMM Art Museum introduced a Biennial Award and in 2008, Linga Diko a joint winner. 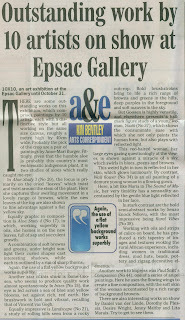 This is my review of his subsequent solo show which appeared on October 29. It concludes below. 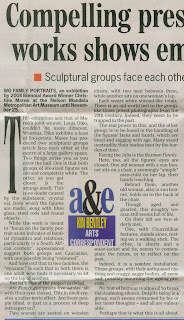 This is the first leg of a review of an exhibition by Neil Hart, which appeared on November 2, 2009. It concludes below. The end of the Neil Hart show. 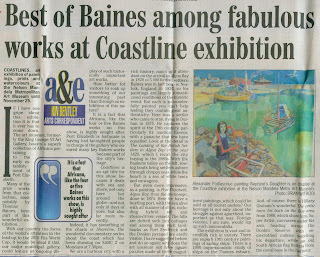 The other joint winner of the 2008 Biennial Award was Christine Maree. 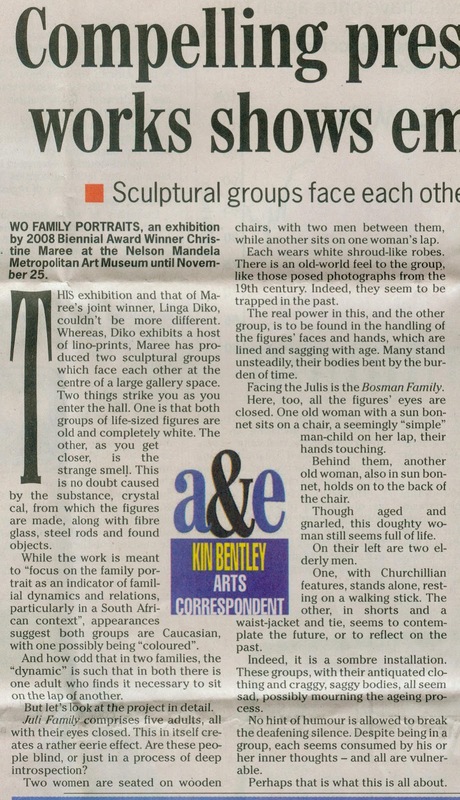 This is my review of her exhibition, which appeared on November 3, 2009. 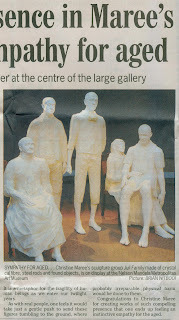 I'm sure this was just called 'Family Portraits'. I don't know how the 'WO' crept in ahead of that at the start of this review, which concludes below. 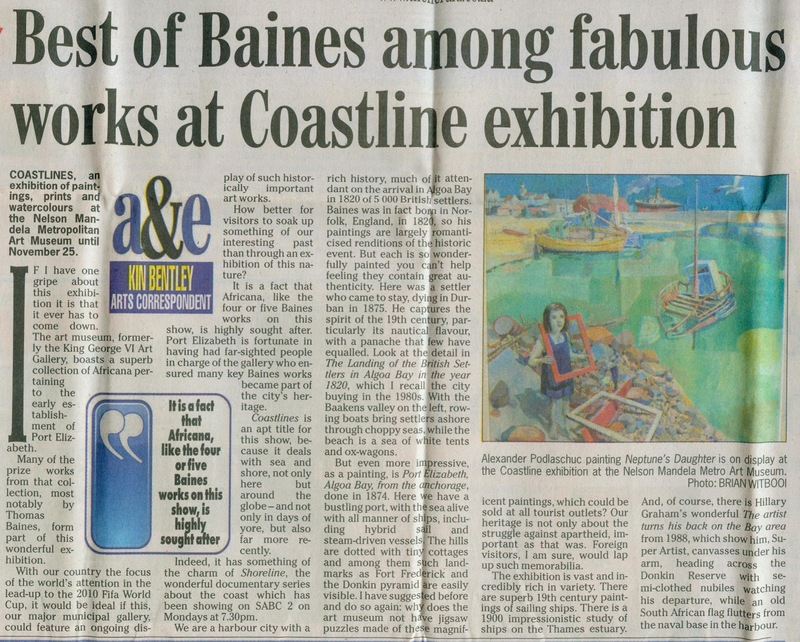 The last of the Maree review.